Regardless of how one feels about teen television dramas, the forum has become a valuable outlet for showcasing indie rock artists that are hungry for wider exposure. As a result, the musical compilations associated with these shows tend to be better-than-average collections of modern rock singles. In fact, they tend to be as good as a burned CD from a very hip friend. The fourth mix of music from the hot teen drama The O.C. contains a dozen tracks from artists unlikely to punch through the playlists of corporate radio. The disc opens with Decent Days and Nights from The Futureheads, a very British new wave single from the band’s self-titled, breakthrough disc. A.C. Newman (Zumpano, The New Pornographers) delivers On The Table from his wonderful and largely unheard 2004 release The Slow Wonder. Pinback’s ultra-catchy Fortress is another welcome addition. The under-appreciated atmospherics Sufjan Stevens are represented on To Be Alone with You, and Matt Pond PA presents a terrific cover of Oasis’ Champagne Supernova. Beck and Modest Mouse also provide some name-recognition to the collection with selections from their most recent releases. 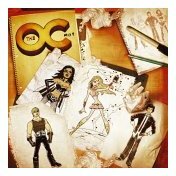 As with all compilations, this latest volume of Music from The O.C. is only as good as the gaps in one’s personal CD collection. For most people, however, it will provide a valuable sampler of what’s happening now in the indie rock world.